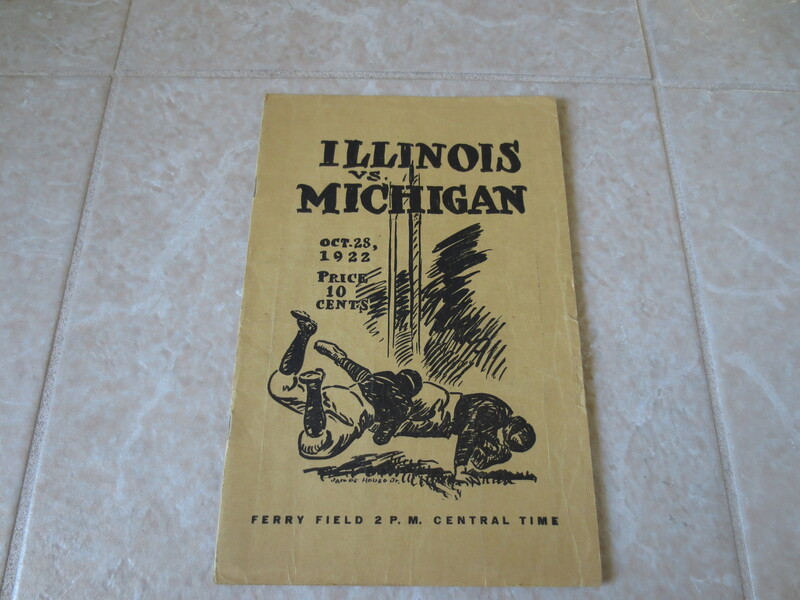 What we have here is the program to the October 28, 1922 football game that featured Illinois at Michigan. Michigan goes unbeaten in 1922 and wins this game, 24-0. 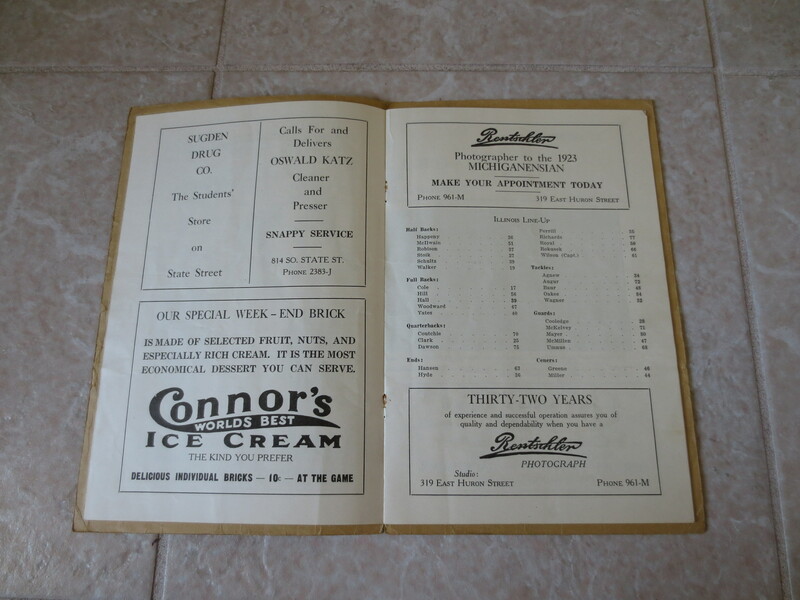 The coach for Illinois is Robert Zupke and the Michigan coach is Fielding Yost---both in the Hall of Fame.